Rosemount Hotel Pitlochry. Autumn Breaks & visit to Blair Atholl. 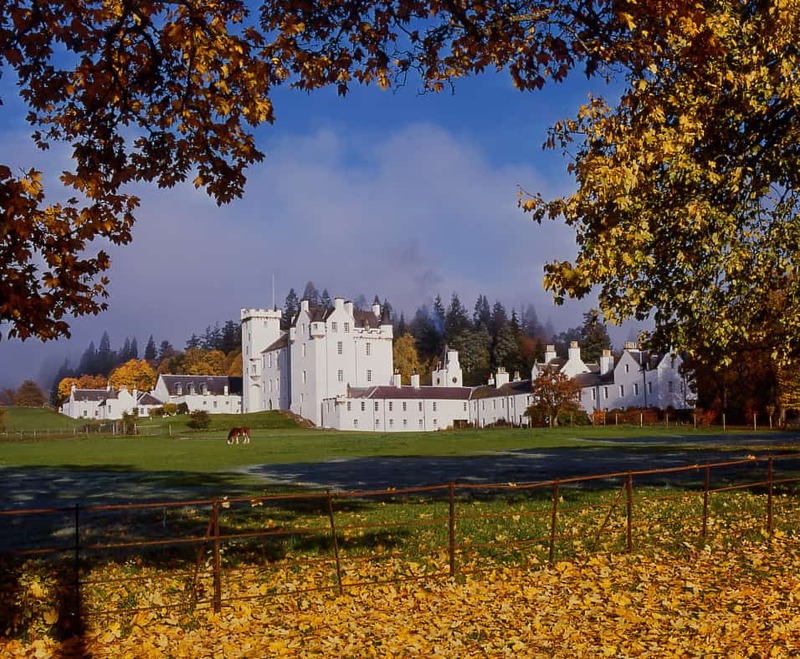 Double the value of your discounted Autumn Break Pitlochry, this year, with accommodation offers and discounted entry to local attractions, such as Blair Castle. Furthermore, Rosemount Hotel in Pitlochry is offering a number of attractive accommodation offers. A splendid option for a day’s activity is a visit to the tranquil and idyllic hamlet of Blair Atholl, just 5 miles away. The size of this tiny village belies the tourist interest that surrounds it. Not only is there the magnificent Blair Castle and grounds. The castle was former home to the Dukes and Earls of Atholl and is a testament to the turbulence of the area in bygone days. The area is rich in battle history, much centred around the castle, itself, in its past strategic role as gatekeeper to the Highlands. 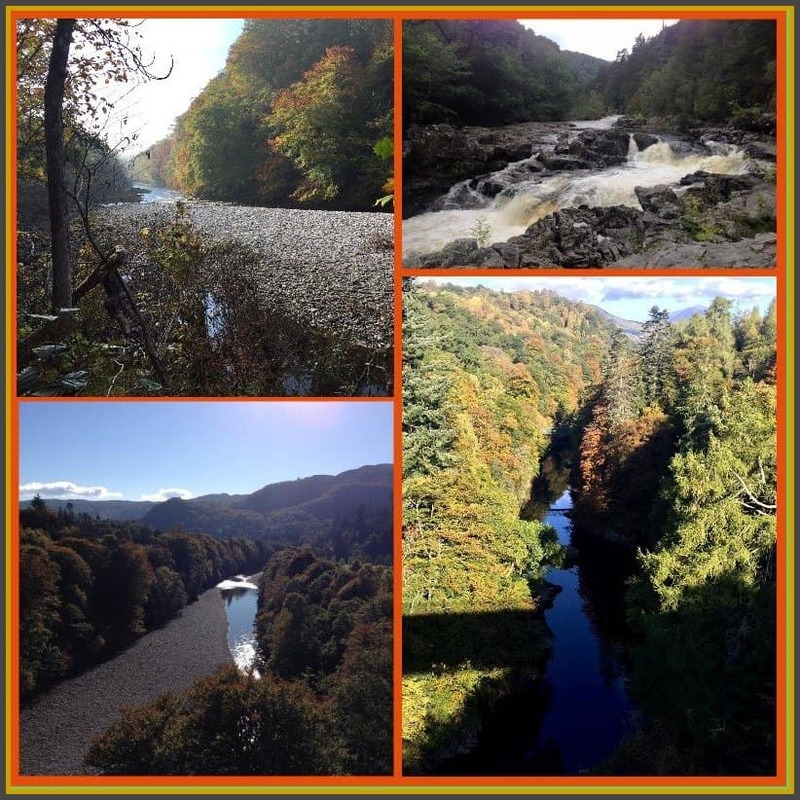 Enroute to Blair Castle, you will see the Pass of Killiecrankie – resplendent in its Autumn garb. You might take time to park just across the Garry Bridge and walk back onto the bridge to drink in the view along the stunning gorge. A visit to Blair Castle might take many hours, visiting the beautiful gardens and becoming immersed in the historical riches of the Castle itself. 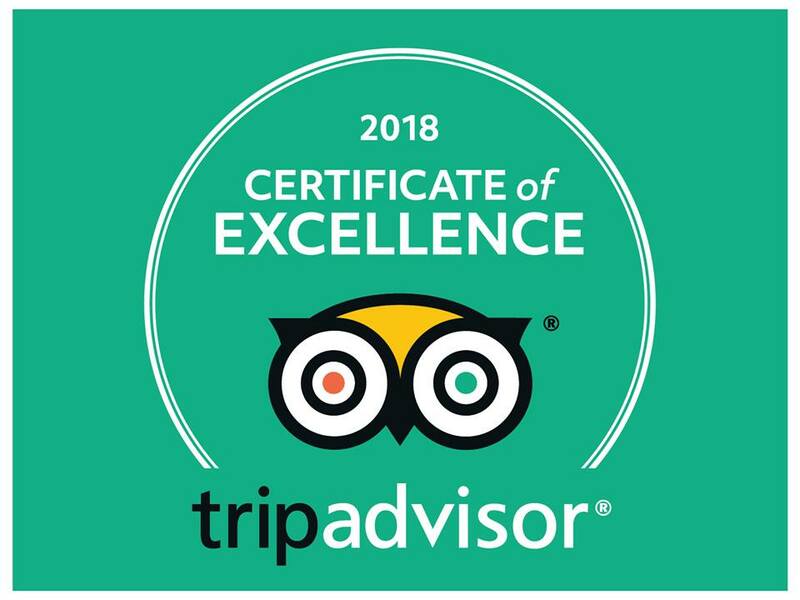 Notably, however, there are other jewels in Blair Atholl’s crown and this extraordinary hamlet is certainly worthy of time set aside..
For example, the Atholl Country Life Museum is intriguing and certainly worth a visit. Additionally, a delightful tearoom may be discovered at the working mill within the village. The bakes are home-made from the flour produced at the mill. Discover Blair Atholl Visitor Centre just down the road, at the village green. Here, you’ll find an interesting and well presented exhibit of the surprising wealth of local wildlife and ecology. For walkers and cyclists, hours spent wandering the paths of Glen Tilt will bring a great deal of pleasure, then there are the hills and mountains beyond the Glen , for those who require a more pressing engagement with this beautiful area. Enroute back to Pitlochry it is highly recommended that, at Killiecrankie, you turn right. You have a choice from hereon in. If time is on your side, we recommend turning right again and heading for the Craig Fonvuick viewpoint. We’ve picked up and excellent blog about Craig Fonvuick, which will surely enthuse you to make this detour. Should a shorter journey be the optimum, then head left for Tenandry. The road that takes you through this delightful hamlet is tiny and undulating. Do stop enroute to gaze back at the vista that you would otherwise miss. Turn right at the junction past Tenandry Kirk, if you haven’t yet visited Queen’s view (approximately 4 miles). This is the road to Tummel Bridge. If you wish merely to return to Pitlochry, take a left at this junction, instead. For further Perthshire visual delight, we can recommend continuing north from Blair Atholl to the House of Bruar Visitor Centre. Here, there is a walk along a steep gorge to two fabulous waterfalls. Additionally, the tempting prospect of some fabulous food at the visitor centre restaurant will complete a memorable visit. The road onto which the car park emerges leads to Calvine and Struan. From here we recommend taking the road through Tummel Bridge and on to Fortingall and the Fabulous Glen Lyon.